A warehouse is a commercial or individual space of a building for storage of goods, which is used to store products newly manufactured in an organization. 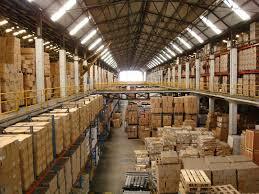 Warehouses are used by the manufacturer, importer, exporter, wholesaler, transport businesses, custom, etc. to store their products in safe place something called warehouse.Warehouse module in ERP module is most widely used to track the quality control, tracking losses, timing order purchase, and order filling.Through the help of warehouse, we can transfer the inventory from one place to another or one warehouse location to other warehouse location and keep the track of all update. Inventory management mange inventory automatically, this will help you to reduce handling cost and optimize cash flow.Inventory pieces can have different values depending on when you ordered them, so your labeling and tracking should tell you exactly how much you paid for each unit. Then you can show the exact expense of any loss. Use this value when you are calculating your net income. Your inventory losses count as an expense of doing business. There are following capabilities adopted by inventory in warehouse module of any ERP application. * Cycle Counting: It majorly depends on how tracking management system is.you need to check on the regular basis for inventory level of items.Keeping regular track of an item will reduce required stock for that particular item. Enables Multi-location tracking means we can track multiple location statuses. Creation Hierarchical location definitions mean we can create sub locations. Enables Bin tracking using Bin number for particular inventory. 1) Reduces manual intervention when an error occurred. 2) Real-time updates on stock and inventory levels and also keep the track inventory transfer. 3) Flexibility to edit the data such as modify the data anytime. 4) Reporting and historical information availability at a given time.